The Blog Who Is "Pryor Media Instant" Actually For? I’ve heard this question several times already, so I thought I’d highlight some of the main parts of Pryor Media’s “Instant” program, to show who actually benefits from it, and who doesn’t. I won’t say that it is the perfect program for everyone – in fact, I’ll plainly say that it isn’t. Most people will probably find the Instant Program to be a fantastic deal and a wonderful way to get themselves on the internet quickly. There are also some of the more technically skilled and web savvy who will find this network isn’t for them. Let’s look at this a little further right here in this list. Here’s what you need to know about the program, and the people that will benefit from it. If this describes you, then feel free to learn more and sign up for it risk-free here. 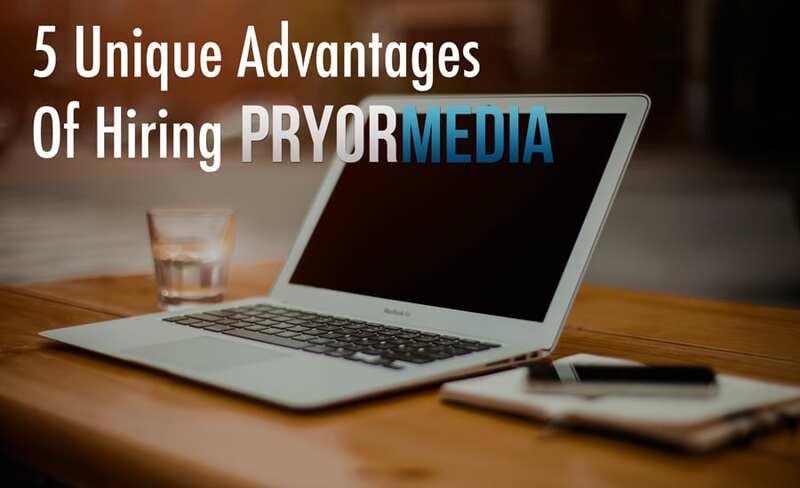 Pryor Media Instant was developed specifically for people that don’t want to deal with the hassles of managing their servers, their hosting arrangements, or dealing with drawn out and complicated technical support problems with other hosts. They are simple people that have a simple problem to solve, and believe that an easy-to-use interface that delivers exceptional results for their goals is worth $5-$30/month (depending on the needs). The Instant Program is not targeted towards people who “know what they are doing” with web design, or for those what have developed and wish to use their own WordPress themes. It’s for those who want something easy that they can get direct assistance with fast when they need. Every hosting company is going to tell you the same thing: “We provide support for our hosting, not WordPress.” This makes sense for them, because there are so many variables that go into the thousands of WordPress installations they have on their networks. They simply cannot account for all of the different configurations that are possible, and thus, will not provide any technical support for your WordPress site. Most of them aren’t smart enough to do it anyways (they aren’t very familiar or specialized in the platform). Pryor Media is different in this way regarding the Instant program. Every piece of this network was put together specifically for you, as a customer, to be able to use the best and most secure tools available for WordPress today. Every App/plugin, and every Theme that’s available for you to use and adapt to your site, has been vetted and tested as working perfectly with our system, and we have a huge support team/community for every application you can run here. We provide direct, and if you want us to, invasive support for your WordPress site on Pryor Media Instant, making sure that your ideas are coming to life – our motto. Pryor Media has a huge collection of premium themes and plugins from all over the web. From popular ThemeForest templates, to offering the entire Elegant Themes collection, to offering premium plugins and themes from WPMU DEV, the largest and longest running theme and development site in the world. You’ll have premium and extremely cool site layouts and tools available for you to use whenever you want for your site when you’re on the Pryor Media Instant program. What other network can give you that? Seriously… point it out. I challenge you. We have some brilliant tools here at Pryor Media, built-in and integrated specifically to present you with an excellent e-commerce experience. Our “competition” does as well. Sites like Etsy make it super easy to sell your products online with their tools, and places like Weebly will get you a website up and running in no time with e-commerce functionality. But nobody else will give you the freedom of design, the variety of options, and the absolute 100% AD and COMMISION-FREE PROMISE that Pryor Media does. We NEVER take a cut of your website’s earnings. Ever. Even if you are making thousands of dollars a month… even if you are making more than we are, we’ll never take a cut. Promise. You will not find a single website network on the internet with as many video tutorials as we have integrated into Pryor Media, nor will you find anyone with as much experience training people how to use complex software in a simple, easy-to-understand way through video. Imagine a network where you join, and then are instantly presented with an excellent way of managing your site, and are provided full-training for the tools you have at no additional cost. That’s Pryor Media. Redesigning a website is hard work, and it can be expensive to hire somebody to do it for you. This is especially true if you want completely custom designs. That’s where Pryor Media can save you big money. Our theme templates are all modern, and almost all of them are completely mobile-ready right away. Responsive design is important for traffic, and for conversions, and Pryor Media delivers that for you always. We make sure that every theme and every plugin/app that you have installed on your website is up-to-date constantly so you don’t have to. We utilize a private staging environment for every update as well, to insure there are no major bugs with it that will break commonly used functions. While we cannot promise 100% that a third-party developer’s changes will mess something up with your website, we can always fix the problem by downgrading the plugin back to it’s original state should you need us to. We’ve integrated a support system directly into the backend of your website manager, so if you need assistance with something that’s going wrong on your site, you can get in touch with us fast. GOLD subscribers get priority support as well, often getting a response in less than an hour. For more generalized questions and “how-to” type inquiries, the support forums is a great place to get help as well. Pryor Media does not permit custom theme uploads or plugin uploads. If you are designing these for your website’s functions, you may be interested in a managed hosting service instead of Instant. This will give you complete control over every aspect of your website, and your own server resources separate from the rest of the community here. Please note that the support system and integrated video tutorials are not included with these managed WordPress hosting plans, but you can ask any question you’d like and we’ll try and help you out. While we encourage everyone to get as popular as they can at Pryor Media, it’s realistic to assume that as you grow in popularity, you’ll need to grow in infrastructure. Instant subscribers are all sharing the same server resources, and thus, are subject to temporary periods of slow performance if one site is getting huge amounts of traffic at a time. What’s huge? Like 5,000 requests per hour. If your site is getting that kind of traffic, you’d probably be much better suited for our managed WordPress hosting plans, since you’d get your own resources and more freedom of control. That being said… we’d never kick out out of Instant for being popular, and our Instant Program’s servers will continue to grow and expand as needed to accommodate everyone who wishes to use the system. If you get that big… we’re proud of you, and we’re proud to help you get there. 4. People who want to set up their own multi-site network of sites. Pryor Media is a multi-site network, meaning that all websites created with the program are connected in some way. Although website creators never have to share that they are in the Instant program, or say anything about Pryor Media in any way on their website (and we will NOT advertise on your site, ever), the sites are still technically connected in the network. This allows us to easily manage the network, and to provide super fast support to our users. However, if you are looking to do a similar network to ours, or you want to have a way for people to make their own blogs for free in a network of separate sites, then “Instant” will not work for you. You can easily, however, get that set up with our managed WordPress hosting, as you’ll have complete control over your files and your network there. We’ll even install WordPress multisite for you, and can move your existing website to your new server for you too (for a small migration fee). 5. People who like dealing with MySQL databases and phpmyadmin for their websites. You will not have direct access to your database, or to modify your database at Pryor Media. You can, however, export the full XML of your website at any time, and if you use this to transfer to a new host of your own later, it will import all of your media files with it as well. – This is also the very same function that’s used to import your data from a previous website as well. So that’s a rundown on who benefits and who doesn’t from being on the Pryor Media Instant Program. To learn more about how Pryor Media can bring your website ideas to life, visit our Website Services page for details.